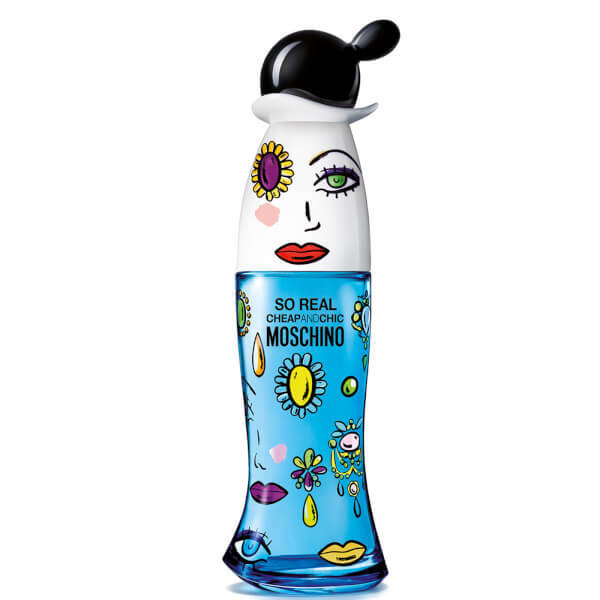 Discover Moschino So Real Eau de Toilette; an olfactory creation that blends fruity, floral and woody accords to form a bright, fun fragrance. Opening with notes of juicy Orange, Mandarin and Raspberry, the EDT is enhanced by a bouquet of Peony, Jasmine and Magnolia, before settling on a rich Cedarwood and Oakmoss base. 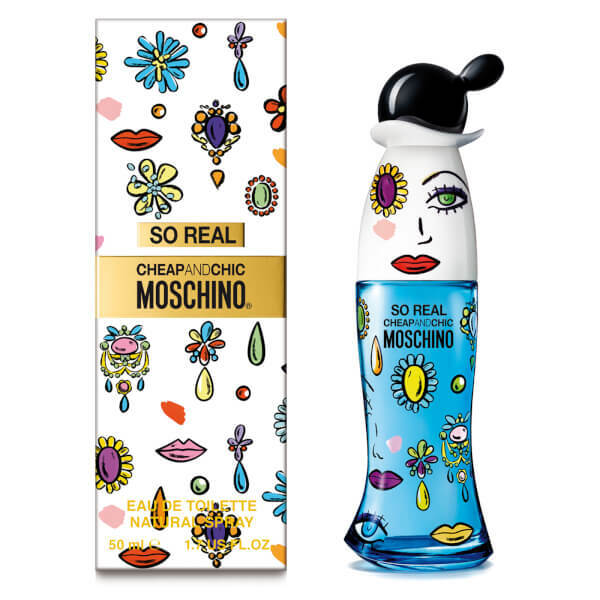 The lively essence is housed in the brand's signature Cheap & Chic bottle with details by artistic director, Jeremy Scott. Top Notes: Orange, Mandarin, Raspberry. Heart Notes: Magnolia, Jasmine, Peony. Base Notes: Oakmoss, Cedarwood, Ambroxan. Like any fragrance, one or two sprays around your neck and on your pulse points (areas where the body is warmer, such as the wrists, ankles, inside the elbows and behind the knees) from a minimum distance of 6 inches, then allow to dry without rubbing. Alcohol Denat., Parfum, Aqua, Limonene, Benzyl Salicylate, Ethylhexyl Methoxycinnamate, Butyl Methoxydibenzoylmethane, Ethylhexyl Salicylate, Linalool, Hydroxycitronellal, Citronellol, Citral, Benzyl Benzoate, Geraniol.